Having a water softener in your home in Toronto, Ontario, Canada, can seem like something you’re just simply “supposed” to own. But, do you know what a water softener does, exactly? Through a process known as ion exchange, this key piece of equipment replaces naturally occurring, harsh (or “hard”) magnesium and calcium minerals found in certain water supplies with potassium or sodium. Such an exchange improves water quality, and in turn, can make the water easier to use for many household tasks, such as doing laundry, washing dishes, and bathing. 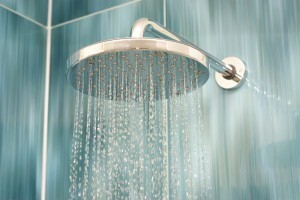 However, if your home is not outfitted with a water softener, the evidence is often clear (or in this case, cloudy). Use more detergent – Hard water minerals chemically react with most soaps to produce a slimy, runny lather that doesn’t produce bubbles – a key component of how clothes are cleaned in the washer. These minerals also tend to cling to fabrics, making them feel stiff. To compensate, many homeowners are forced to use more detergent – and spend more money – to successfully clean their laundry. Have hair and skin that feels dirty, dry, and appears lifeless – Just as hard water minerals prevent laundry detergent from properly lathering, they can inhibit your favorite shampoo or body wash from doing so, as well. Plus, hardness minerals often coat skin and hair, triggering a drying effect that can lead to skin irritation, flakiness, and hair that’s dull in appearance. Hassle with stubborn mineral build-up – Hardness minerals leave their cloudy tracks on dishes, in addition to accumulating on pipes, fixtures, drains, and water-using appliances throughout your whole house. This buildup is often difficult to remove, and may even damage the object it collects on. If your home in Toronto, Ontario, CAN, is not equipped with a water softener or your softener is outdated, turn to the water treatment professionals at RainSoft. We’ve been making good water better since 1953, and can direct you to the best water softener system for your family’s needs. Contact your local authorized RainSoft dealer to learn additional information.